Preserve the original carpeting of your Kia's cargo area from wear and tear with there specially fitted cargo trays and mats. Washable and durable, this tray will help to protect your trunk area from spills, dirt and other debris. 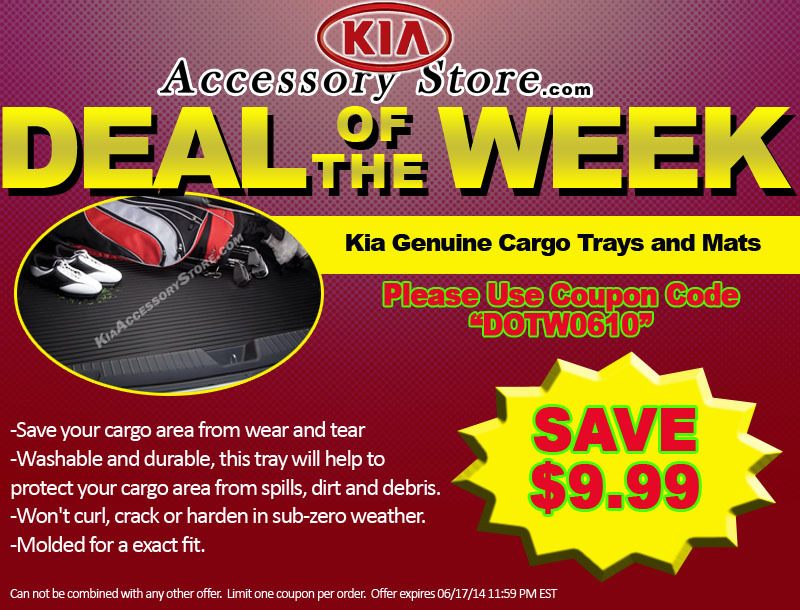 SAVE $10.00 ON KIA ALL WEATHER MATS - USE COUPON CODE "DOTW0610"
Can not be combined with any other offer. Limit one coupon per order. Offer expires June 17, 2014 11:59pm (EDT). Please call 1-800-509-2652 for complete details.